Get up is very hard for a lot of people. Somebody may be disturbed by the annoying alarm when they feel very tired. Someone may be late for work or class because of snooze. 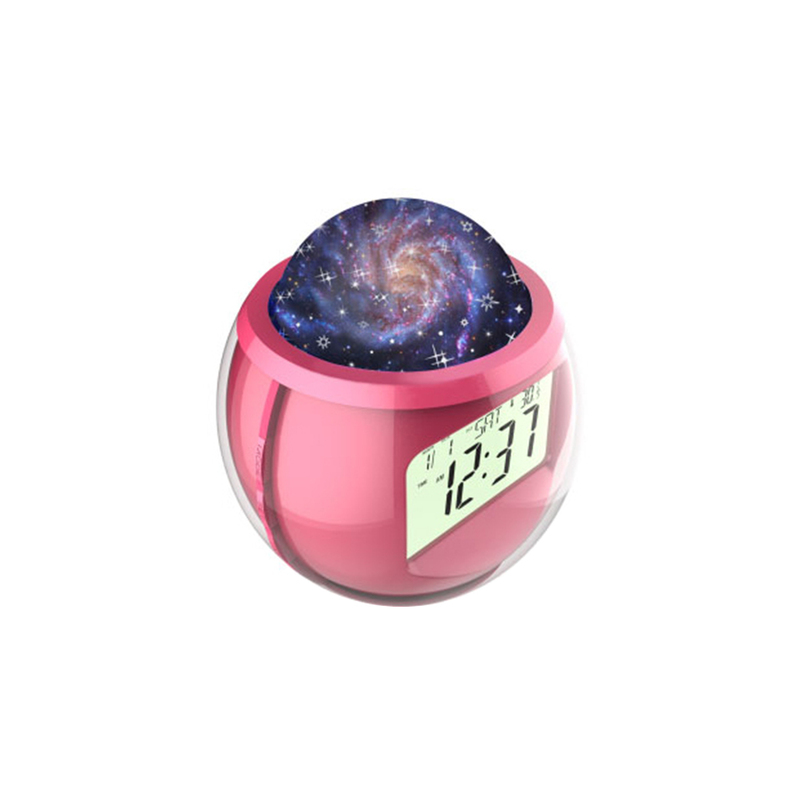 This is a multifunctional alarm clock which is very useful in daily life. 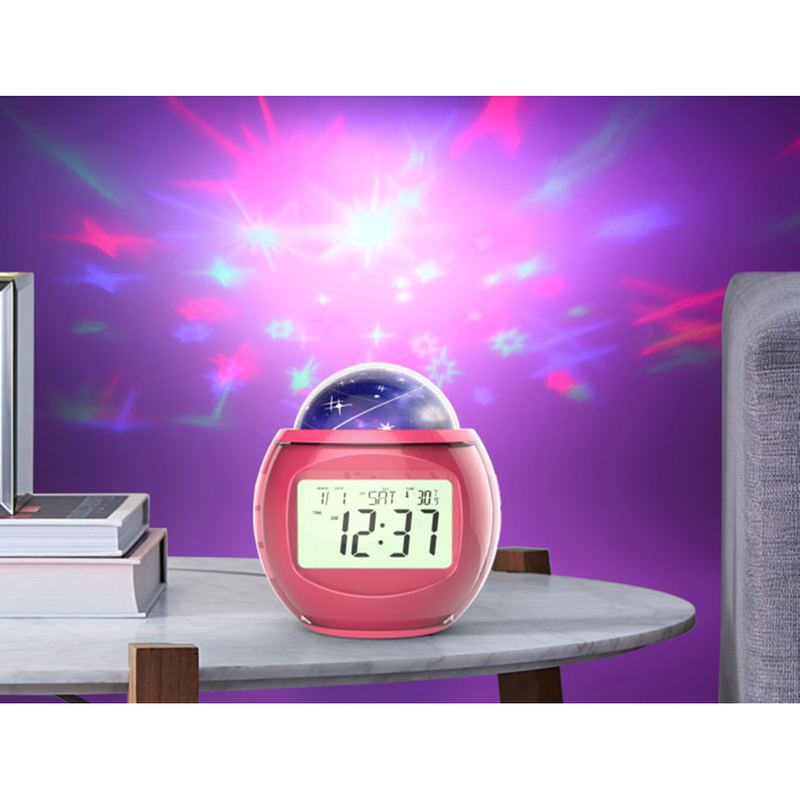 With calendar, timer and temperature display, various kinds of enjoyable sounds, snooze mode, also projecting lamp design, it will be a wonderful gift for families, friends and other. - Size: Approx. 13 x 12 cm. - Battery: 3 x AAA Battery. - 10 types of various sounds for your choice, very enjoyable and relaxing. - Projecting lamp on the top, very beautiful and practical. 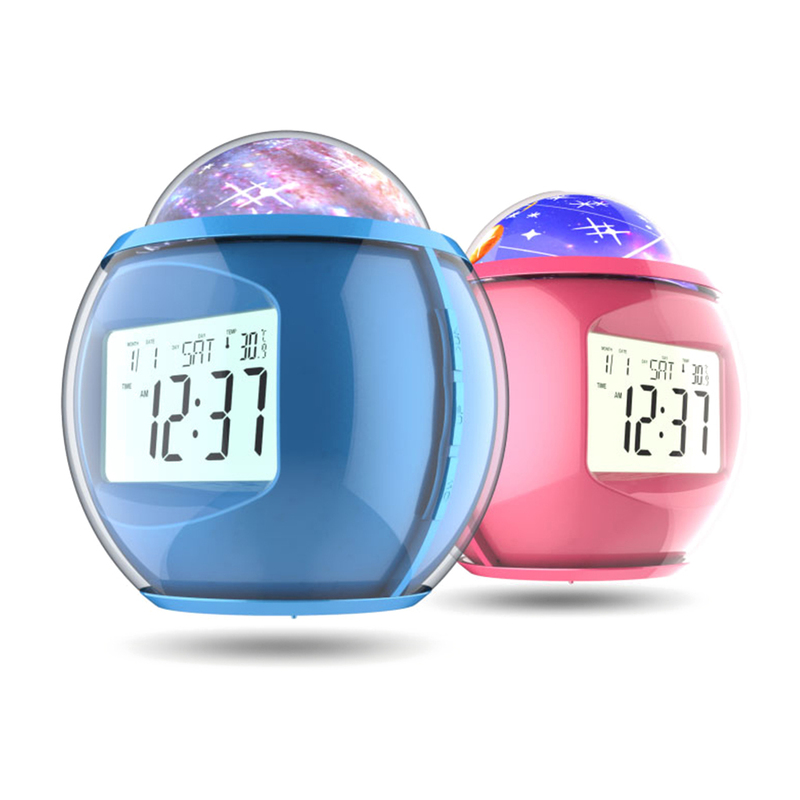 - Multifunctional design with calendar, timer and temperature display. - Snooze mode: 3 different period alarm for snooze. - Portable and easy to use. Ideal gift for families, friends, kids and others.